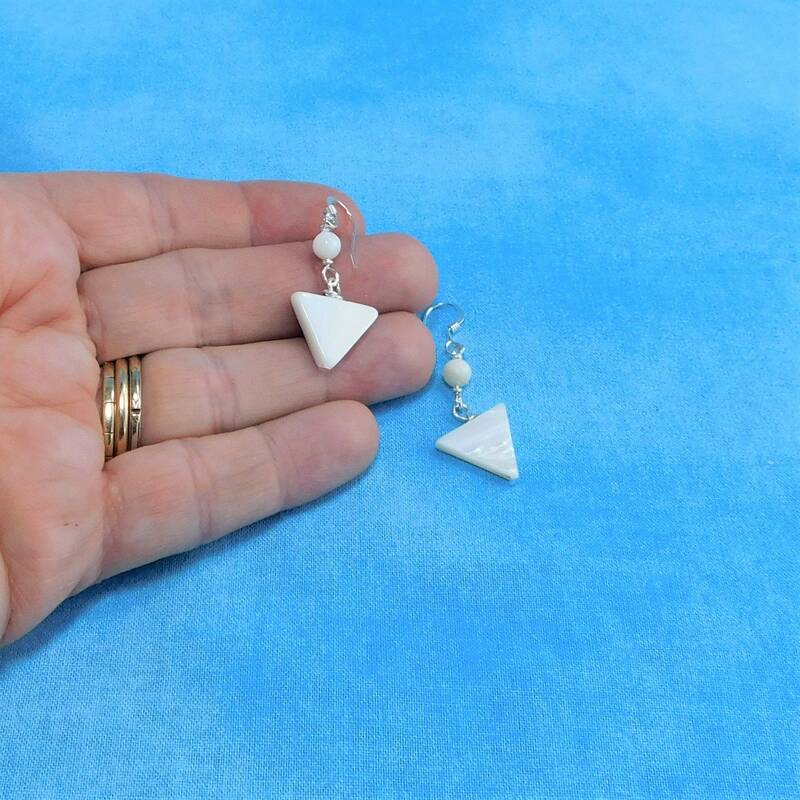 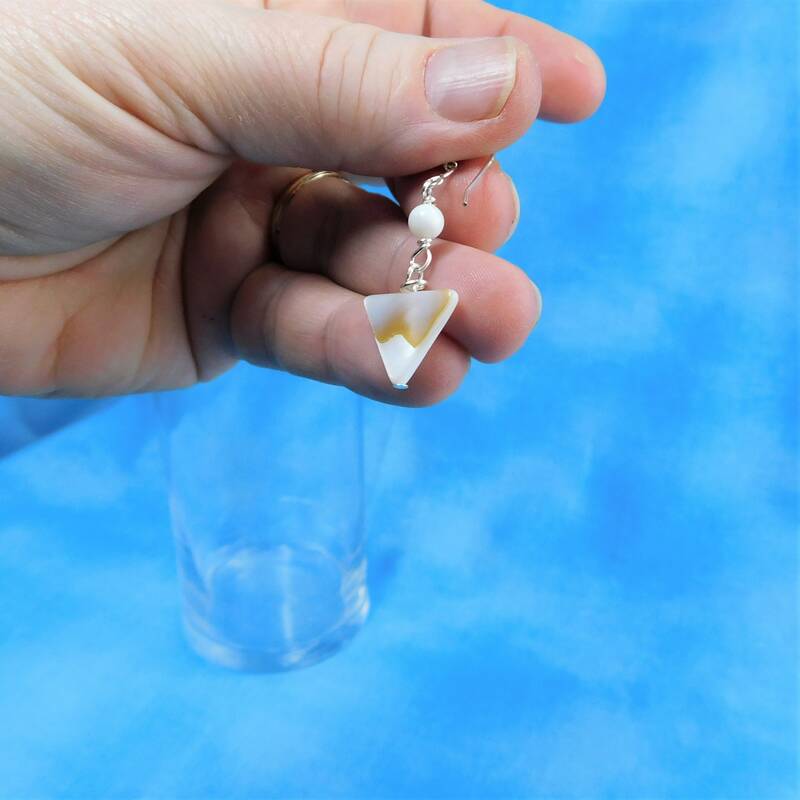 Two 1/2 inch natural white mother of pearl triangles are hand wire wrapped and combined with another mother of pearl shell ball. 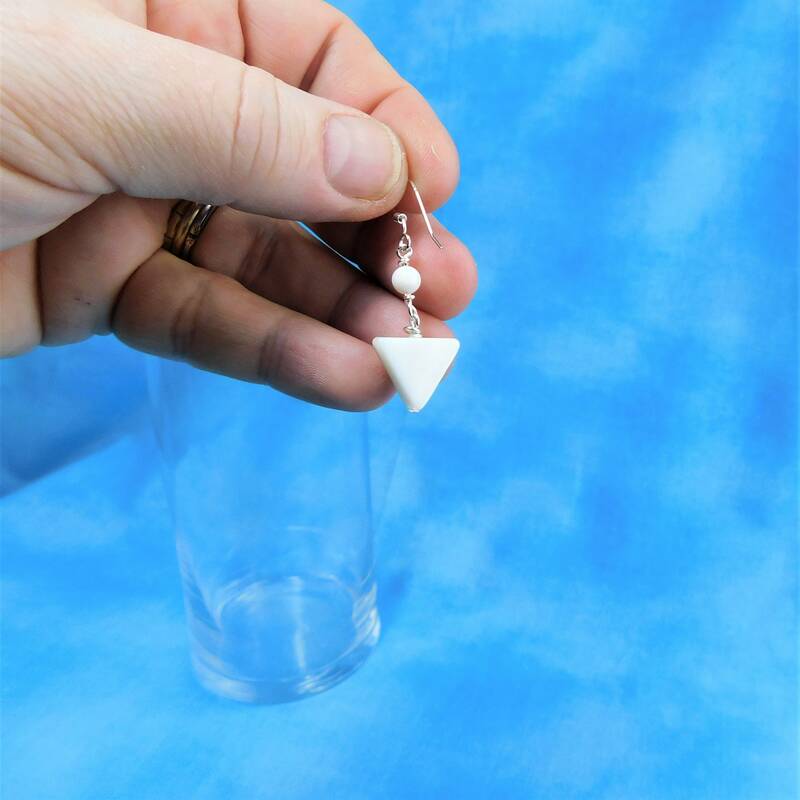 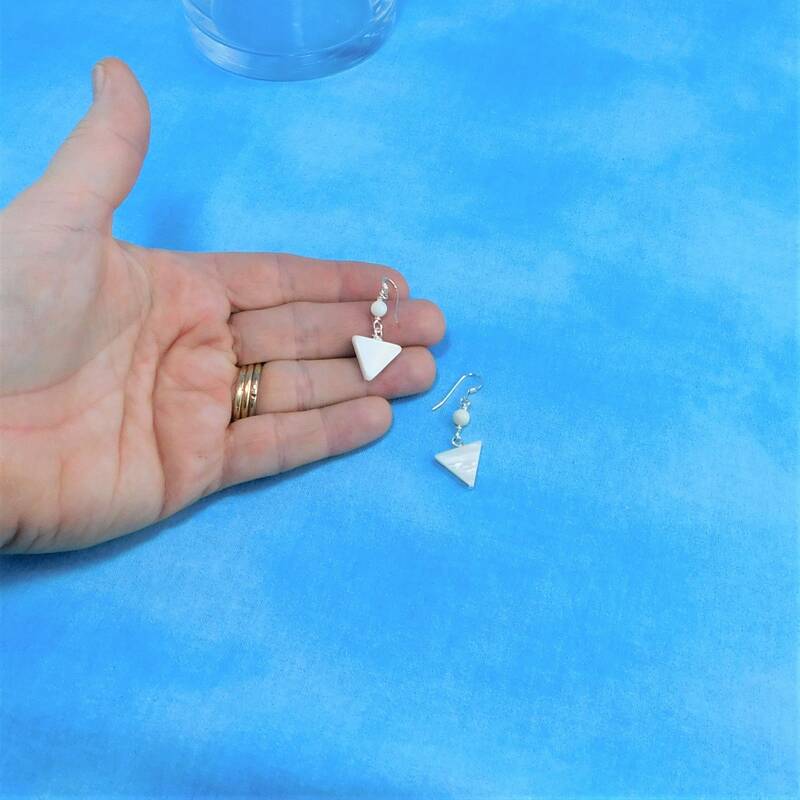 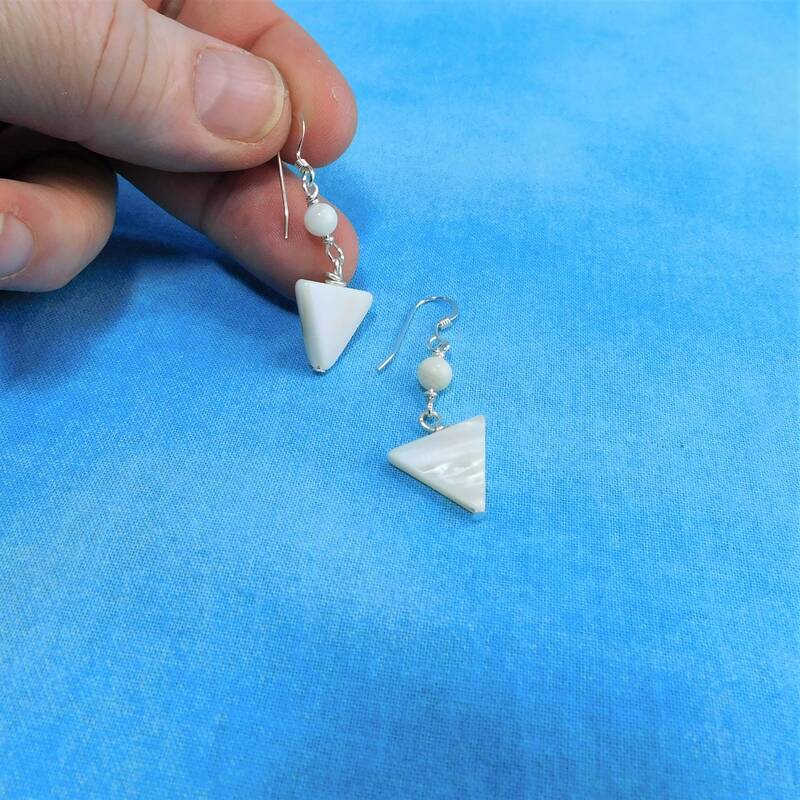 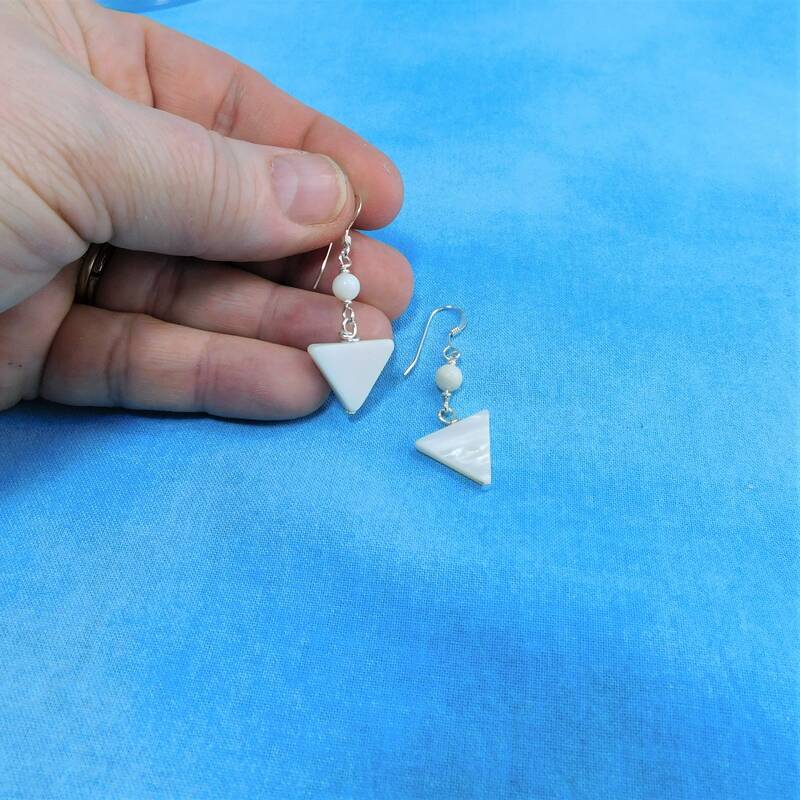 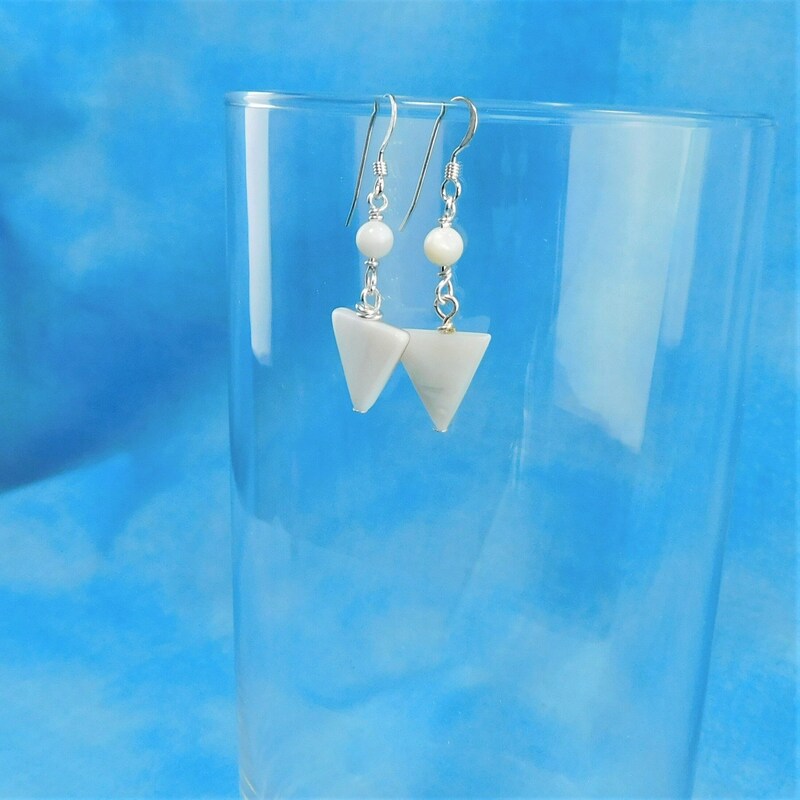 The tiny dangles are suspended from sterling silver ear wires. 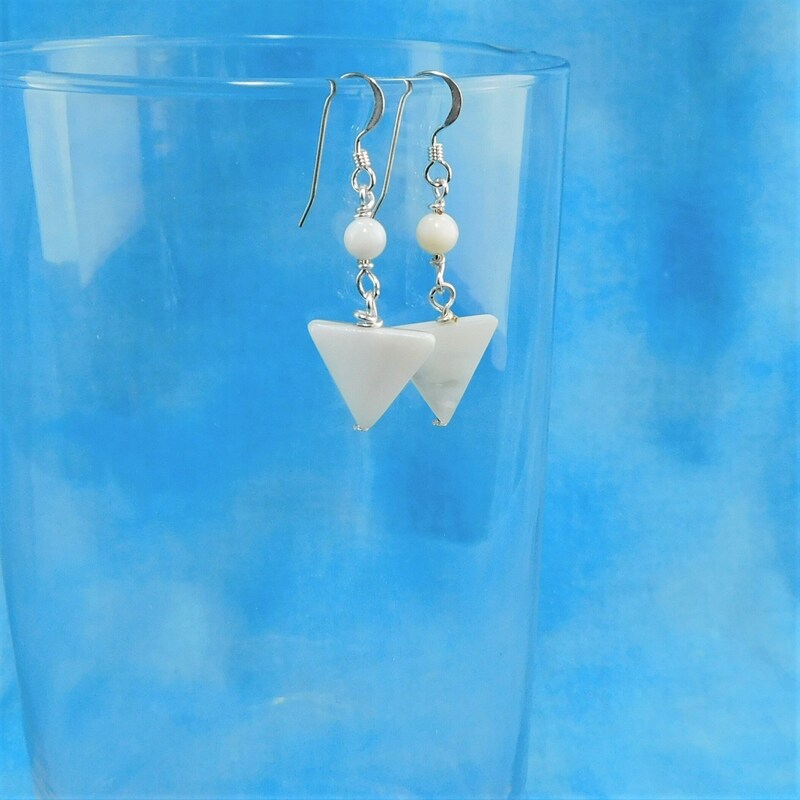 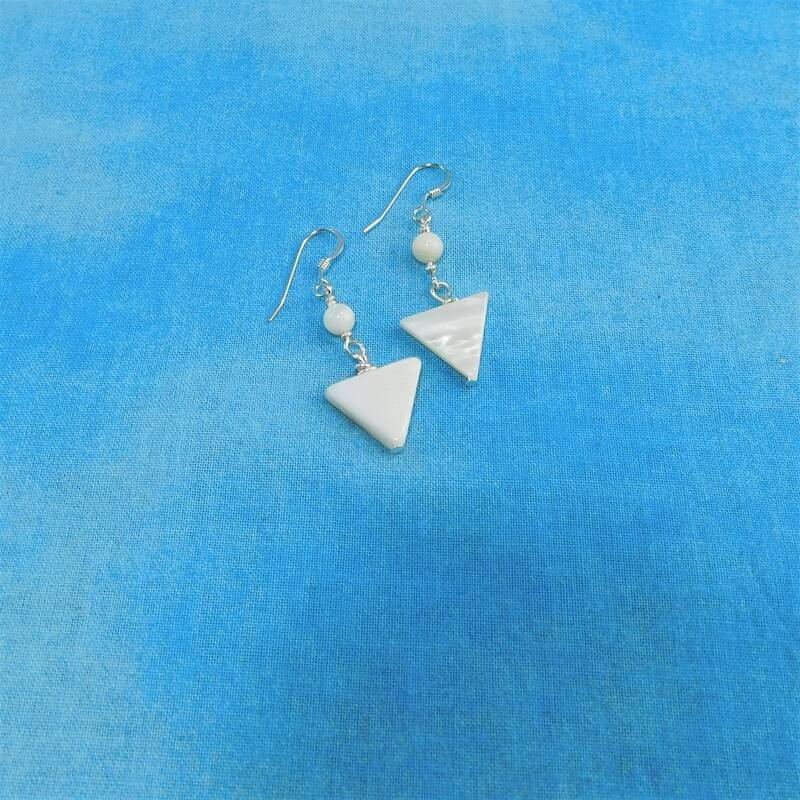 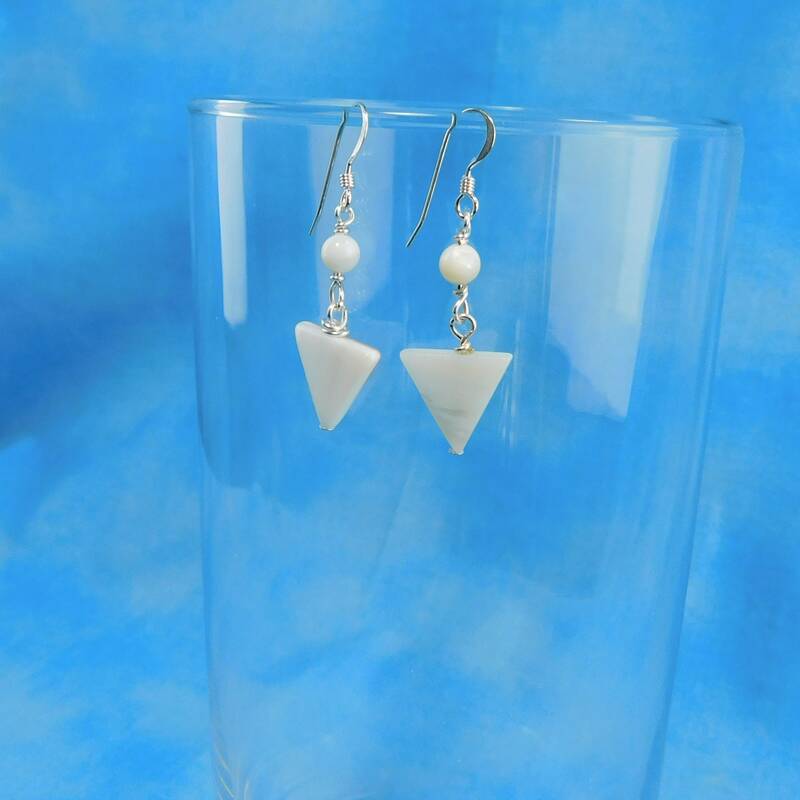 The earrings are small and light weight, fun and maybe a little fancy, so they are perfect for any style or color of a woman's wardrobe.